Farex, milk based complementary food is designed to provide infants complete nutrition and healthy eating experiences. It contains good quantity protein from milk as well as minerals and vitamins which are known to be important for healthy growth. Farex Milk cereal based complementary food is 100% vegetarian. It is pre-cooked, thus making them simple to the digest. Needless to add, they do not have any artificial preservatives, flavors or colors. Farex Milk cereal based balancing food. It is 100 percent vegetarian. Packed and manufactured under superb quality controlled environment and with most modern technologies. Farex Wheat Apple Milk cereal based complementary food is 100% vegetarian. It offers improves taste and complex consistency with variety of added fruits and vegetable to satisfy the urge to chew and fulfill the baby's growing nutritional requirements. Farex Ragi Rice, the pure vegetarian first baby food to nourish your little ones with, which is also nutritionally best and rich in taste. Milk cereal based balancing food. It is 100% vegetarian. Manufactured and packed under superb quality controlled surroundings and with most modern technologies. Navavita Ragi Cereal For Baby. Pristine is an organization that harvests Nature... as is especially for you. Pristine converts every experience & expertise into useful products ranging from pediatric to geriatric. They attend to some of the key areas of nutrition like malnutrition, lifestyle diseases and needs of the immuno-challenged. They reach over 100,000 malnourished children and over 30,000 people affected by AIDS/HIV+ with their ethically priced products. Prestine Poushtik is a wholesome nutrition for children and an appropriate baby feeding product. Cerelac Is A Complementary Food For Babies After 6 Months When Breast Milk Alone Can No Longer Totally Cover The BabyS Growing Nutritional Requirements. NESTUM is a complementary food for babies after 6 months when breast milk alone can no longer totally cover the baby’s growing nutritional requirements. It is free from added artificial colours, flavours and preservatives. Nestle Cerelac Stage 2 is highly nutritious for children’s from 8 month onward. It provide improves taste and complex texture with variety of added vegetable and fruits to satisfy the urge to chew and complete the babys. NESTUM is a complementary food for babies after 6 months when breast milk alone can no longer totally cover the baby’s growing nutritional requirements. Buy Baby Cereal Online at Foodzu and get attractive discount on every purchase. Baby food is soft, easily consumed food, aside from milk or kid formula, that's created specifically for babies, roughly between the ages of 4 to 6 months and 2 years. The baby cereal comes in multiple varieties and tastes. Baby cereal is Specially designed for growing babies, hence it meets the exclusive nutritional needs at every stage. The Foodzu.com offers the widest range, of Baby Cereal at cost effective prices. Shop Baby Cereal at Foodzu and get a wide range of discount every purchase. Are you planning to Buy Baby Cereal Online? 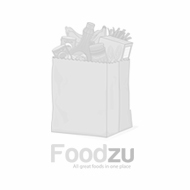 If yes, The Foodzu is the best Online grocery store Bangalore who offer Baby Cereal at a cost effective price. In your busy life, we provide you an online facility to buy Baby Cereal from the comfort of your home. Shop high quality of Baby Cereal at Foodzu Online grocery store and get it delivered right to your doorstep. Enjoy the easy and relaxed way of online grocery shopping from top brands at less than MRP at Foodzu.